4x6 Design. The double wall design achieves a greater strength to weight ratio than single wall designs and the lower weight makes it ideal for use on elevated platforms. The all purpose mounting strips (included) rotate to allow the blind to be attached to a platform or directly onto the ground. The double wall construction keeps you warmer in winter and cooler in summer by providing a barrier of insulation that single wall designs don't have. 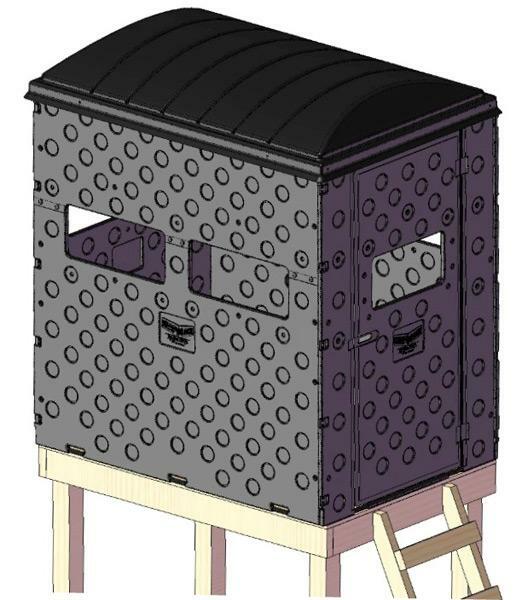 Each Snap Lock Hunting Blind kit contains a panel with a full size, integral door with a molded hinge.